Each year in spring, numerous festivals enter Ljubljana’s venues and streets. Up until autumn, the city flourishes in various colours of creativity and arts, ranging from musical festivals of several genres to street arts and theatre performances. 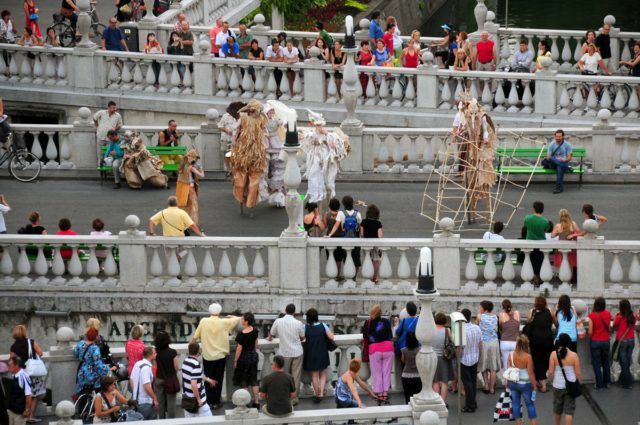 Most of the festivals take place outdoors and for free, and therefore, Ljubljana is not just an Open City because of offering the artsy and imaginative events, but also because it is simply that: a wide open venue for all sorts of non-conventional festivals that allow for a having a fun stay in Ljubljana to any congress guest. Here we list those that stand out between May and September 2018.
International Lighting Guerrilla festival, which has been undergoing in Ljubljana since 2007, is dedicated to the production and presentation of works of contemporary visual and new-media art, whose main mean of expression is the medium of light. A number of projects (lighting objects, exhibitions, video and site-specific installations, screenings, performances, and art workshops) illuminate the city of Ljubljana in the outdoors (streets and parks) as well as in the galleries. A prominent music festivals, which is also one of the most prominent music festivals in Central Europe, with a concept and approach that sets it apart from other festivals in this part of the world. Running for more than three decades, Druga godba is a festival of world and, to a lesser extent, contemporary jazz music. It ranks among Europe’s best festivals of slightly alternative music difficult to fit neatly into musical categories. 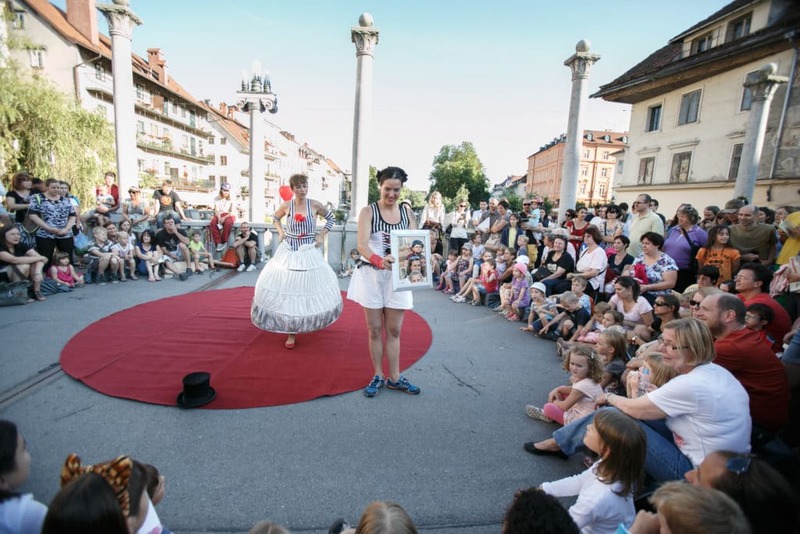 Kongresni trg square, the central Ljubljana’s square, will host free events from morning until evenings: mornings are for children, afternoons for light dance and music performances, while the top quality dance, theatre and music events are held in warm summer evenings. For almost 60 years the city has played host to the Ljubljana Jazz Festival, one of the oldest jazz festivals in Europe. In addition to the established names, Ljubljana Jazz Festival also presents rising artists from all over the world and music projects while always putting a special emphasis on Slovenian musical creativity. . The proof that the Ljubljana Jazz Festival trumpets alongside world renowned jazz festivals, is recent win of the 7th European Jazz Network (EJN) Award for Adventurous Programming. 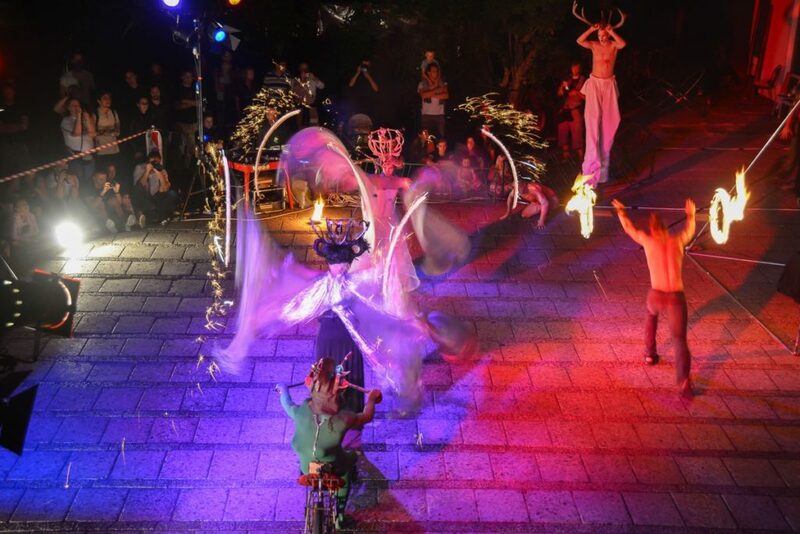 The Ana Desetnica international street theatre festival, held outdoors, annually brings together street artists, clowns, circus performers, jugglers, tighrope walkers, fire-eaters, musicians, ‘provocateurs’, dancers and actors from Slovenia and abroad. A festival which gives Ljubljana an air of unrestrained otherness where the audience also participates in performances. Film Under the Stars open-air cinema. Nestled in the courtyard of Ljubljana Castle wtih an epic seating capacity of 1000, the 24 day event offers a brilliant programme of season favourites and highly anticipated avant-premieres. Films that are not in English are screened with both Slovene and English subtitles. International festival Mladi levi (Young Lions) annually brings the most current stage performers from all over the world to Ljubljanas’ Old Power Station every end of the summer. It moves within the arena of contemporary progressive thatre and dance and it is marked with creativity and vibrant spirit. Using the principles of collaboration, accessibility and transitivity, the festival integrates cultural and scientific institutions with nongovernmental organisations and creative individuals. It combines currents in art, culture, media, music, film, theatre, design, etc.